Workday’s current release (30) is exemplary of the accelerating pace of deployment in financial management systems of technologies that have been shaping the design of ERP. For example, Workday’s financial management system incorporates analytics and planning into its transaction processing system. In the past these were separate applications because of technology limitations. Combining transactions processing with planning and analytics means the system can provide more real-time performance information to executives and managers, enable a faster accounting close and speed budgeting and review cycles. Workday also continues to build out mobile capabilities to support a more on-the-go management style and in-context collaboration to reduce friction in business process execution. To improve the user experience Workday’s current release employs a fresher, more intuitive user interface design. Legacy screen layouts and process designs were the result of technology limitations that no longer exist. Moreover, today’s workforce is increasingly intolerant of poor design and prefers software that looks and behaves more like consumer applications. Workday’s Canvas Design system enables third-party and internal application developers to utilize the improved user interface and ensures that these applications retain the look and feel of the core ones. At the event the company also showed off “Workday Assistant,” a chatbot that’s designed to make it faster and easier for individuals to perform work (for instance, posting a transaction or kicking off an expense report). It also has the potential to accelerate new employee productivity because individuals can describe the process they want to execute without having to know the specific sequence needed to perform it. Establishing a culture of continuous improvement in managing the accounting cycle. Such a culture regularly sets increasingly rigorous objectives, reviews performance related to those objectives and makes addressing shortcomings a departmental priority. Workday’s financial management application is architected to support continuous accounting through its use of in-memory processing and its database structure. The structure supports a faster close because it facilitates distributing close-related workloads more evenly over the accounting period than legacy systems that require batch-mode processing. I’ve noted that ERP vendors like Workday have added analytics capabilities to complement the core functions of transaction processing and accounting. This is why Workday uses the broader term “financial management” to describe its offering. The company has been building out its Prism Analytics to provide self-service analytics capabilities to make it easier for users to obtain useful information directly from their system in real time. Our Office of Finance research finds that nearly half of companies (48%) say that it’s not easy to get information from their ERP system. One benefit of having analytics built into a financial or human capital management system is that it automates and therefore often speeds up the transformation of data into useful, digestible information. 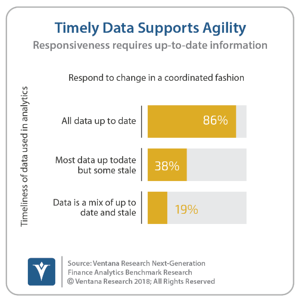 Our Next-Generation Finance Analytics benchmark research finds a large majority (86%) of companies saying that they have up-to-date data and respond to changes in business conditions in a coordinated fashion, compared to 38 percent in which most but not all data is current and just 19 percent of those whose data is not up-to-date. To facilitate the consumption of this data, Workday offers Livepages, which simplifies the process of assembling visual representations and narratives. Livepages are linked to live data so it’s relatively easy to update the numbers and charts of an already-created presentation. The company also will offer an enterprise spreadsheet tool, Worksheets, in the next release (due out in fall 2018) to make it possible to work with financial, planning and project data in a familiar grid environment while ensuring data integrity and control. The presentations also emphasized the company’s embrace of an open design philosophy that has two key aspects. One is its application programming interface (API) design philosophy, which provides external extensibility to enable adding complementary functionality to the core offering. The other is making it relatively easy for owners of the system to enhance functionality through a platform as a service (PaaS) that provides internally developed extensibility, enabling tasks such as kicking off a routine that either precedes or follows an existing Workday process. Both APIs and PaaS address the limitations of multi-tenant cloud offerings in that they facilitate the addition of functionality without affecting the core application, substantially reducing or eliminating the functionality-based barriers to adopting a multi-tenant ERP system. The ability to extend business processes through third-party applications or internally developed apps can streamline process execution and eliminate the need for the checks and reconciliations that are necessary when data is moved from one system to another using a spreadsheet. Even facilitating something as seemingly trivial as expense reporting is useful because that process is often a waste of time for those professionals who travel or must make ad-hoc purchases, as it is for the managers who must approve reimbursement and the back-office personnel who process the expense report. The presentation also covered benchmarking. One of the potential benefits of cloud computing is that it can enable vendors to provide customers with benchmark measures based on anonymized data from its customers. These can either be business performance measures such as costs and margins or employee-related measures such as compensation and turnover. As with any network effect, here the value of this service will be proportional to the number of companies that provide their data. Their current reticence to do so remains a bit of a stumbling block for many vendors. Much of the information is highly sensitive so companies must feel confident that their data will be sufficiently anonymous to be willing to opt into the process. It’s still early days for Workday’s benchmark services so it’s difficult to assess how successful its offering will be. Technology has the potential to have a greater impact on the management of finance and accounting departments over the next 10 years than has occurred since the beginning of the computer age six decades ago. That’s because until now technology has offered mainly incremental improvements while robotic finance technologies are potentially transformative. Despite the substantial boost that technology can provide to enhance efficiency and support more effective business processes, vendors face a significant challenge: Finance departments are a slow to change and traditionally have been technology laggards. 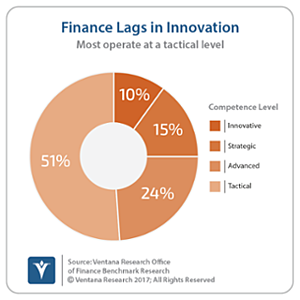 Our research finds that half (51%) of those participating in our Office of Finance research fall into our lowest performance quartile and only one in 10 are classified as innovative. Finance departments must accelerate their adoption of technology in the coming decade and use automation to reduce administrative and compliance costs. 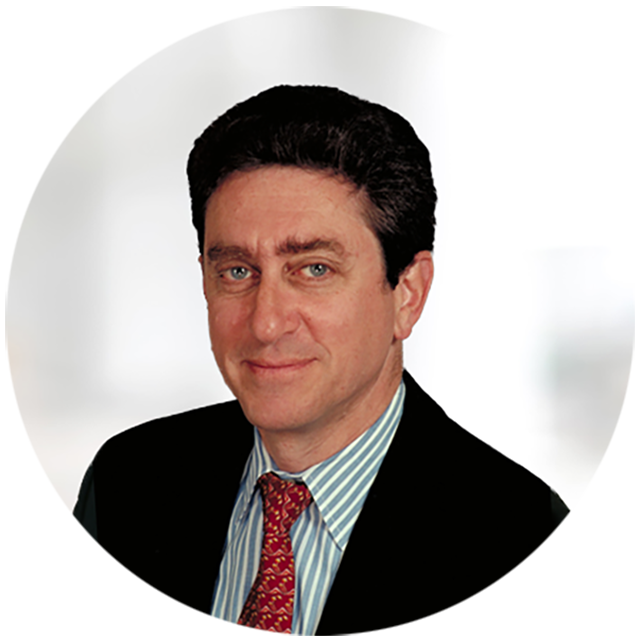 CFOs are generally right to avoid the bleeding edge of technology because the risk of disrupting operations with unproven technology has not been outweighed by the potential for competitive advantage or substantially enhanced efficiency. Yet “robotic finance” isn’t futuristic: The technologies are already here and will evolve rapidly over the next five years, producing practical solutions to automate low-value departmental chores. More enlightened departments will become fast followers in technology adoption. Fast followers are neither innovators nor laggards; rather, they apply a strategy of quickly imitating the innovations of their competitors. Workday’s financial management offering has continued to evolve in its capabilities. This is reflected in the increasing number of larger organizations adopting it as their core financial transactions system. Workday’s success in continuing to harness the new technologies covered in the analyst summit to enhance the functionality, performance and ease of use of its software will be critical to its long-term market leadership, as other vendors are focusing investments in the same areas. Foundational technology elements such as natural language processing are near-commodities open to all organizations that can commercialize them with good ideas and fast execution. Workday recognizes the potential of the new technologies. However, its development organization will need to operate at a fast clip for the company to sustain a leadership role in the future.